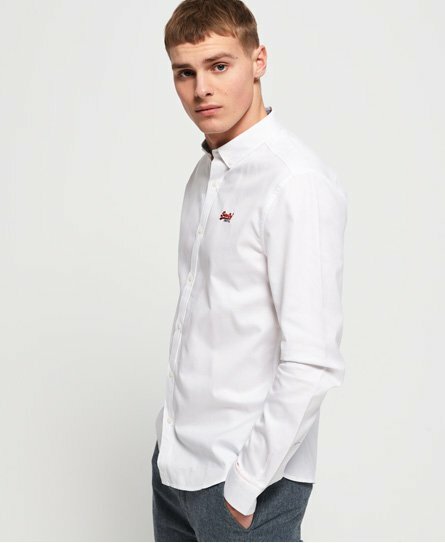 Superdry men's Premium button down embroidered shirt. This long sleeved regular fit shirt features classic button fasten design down the front of the shirt and on the cuffs. This shirt also features a Superdry logo tab in the side split seam, Superdry logo badge on one sleeve and a Superdry logo tab on one cuff. Finished with an embroidered Superdry logo on the chest, this is the perfect partner for anything from casual jeans to tailored trousers.